Red Mountain begins to take shape in N scale Colorado - but it still looks pink at this point. 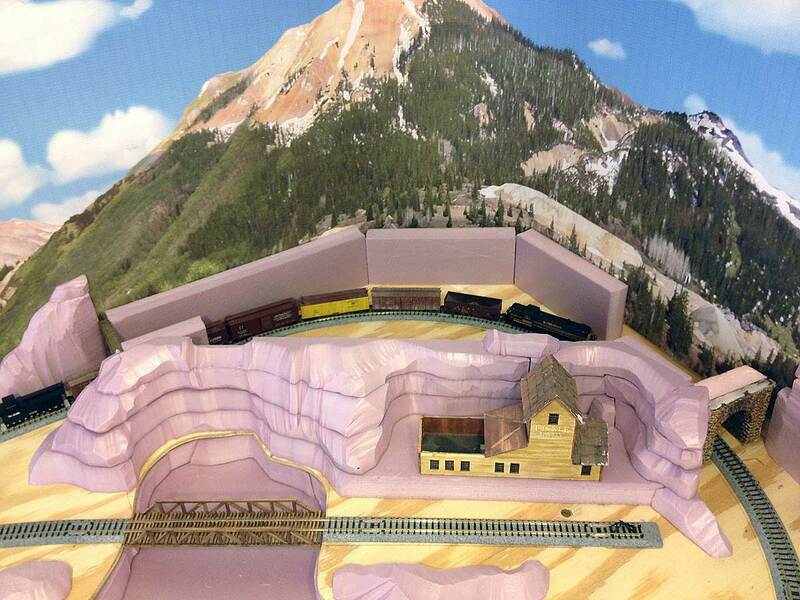 I took a break from Thunder Mesa this week to spend a little time on my Pagosa & Southern N scale project. I first described the P&S back in January of this year, and showed the installation of a photo backdrop in February. This week we'll look at roughing in Red Mountain with layers of pink Polystyrene foam insulation. I always think in terms of scenes when planning and building a model railroad, taking special care to view everything from multiple angles. Beyond mere visual interest, I'm always looking for the best way to convey the story. Everything should flow together without jarring transitions and support the central idea of the railroad. 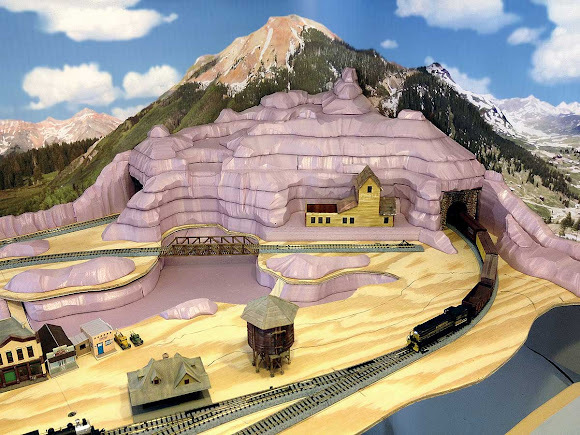 Hopefully, when the P&S is finished, it will convey an enjoyable story about Colorado railroading in the early 1950s. 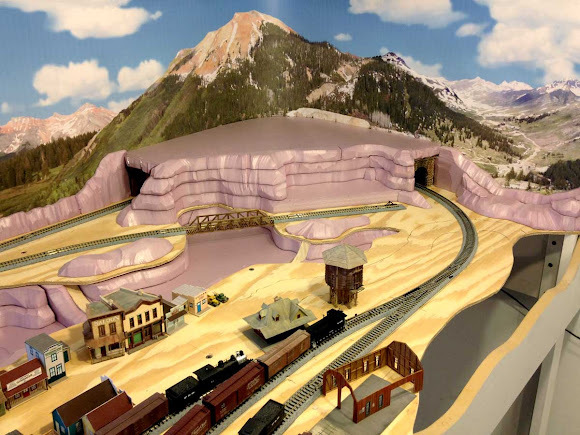 As well as helping the trains disappear from view for a moment, Red Mountain on the P&S will contain four scenes, each flowing and transitioning into the next: the west tunnel portal, a waterfall scene, the Rebel Girl Mine, and the east tunnel portal. Those are the close ups, with the overall mountain itself being the establishing shot. Altogether these scenes should help firmly establish the railroad's era and local. 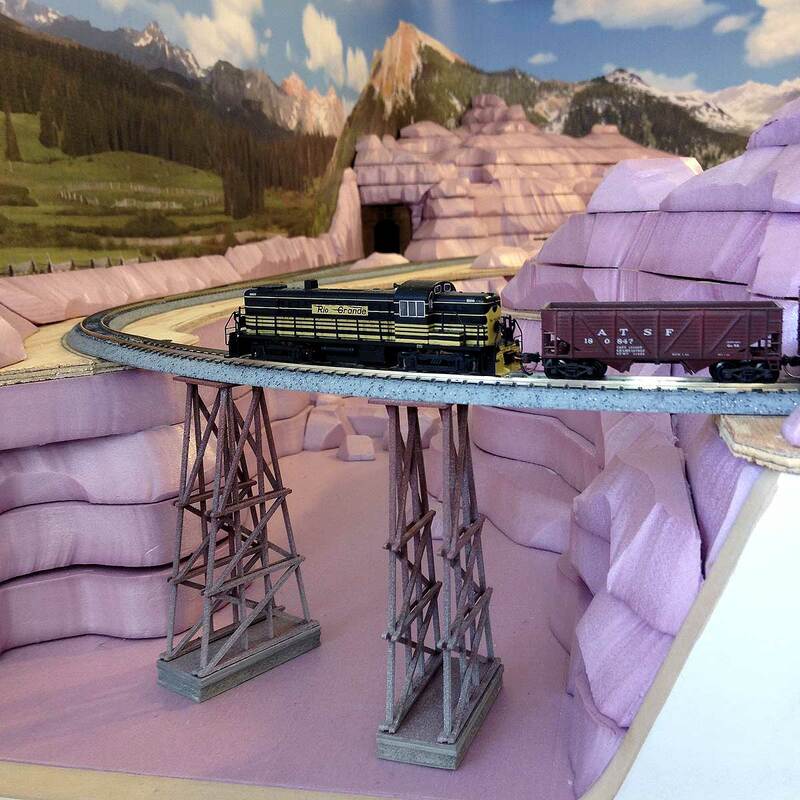 Just as on Thunder Mesa, I'm using 1" thick pink Polystyrene foam insulation board to build up the base for landforms on the Pagosa & Southern. It's a fairly straightforward process that can be a tad messy and a little time consuming. I tend to think of it like sketching, laying down loose lines and basic forms that will underlie the finished scenery to come. 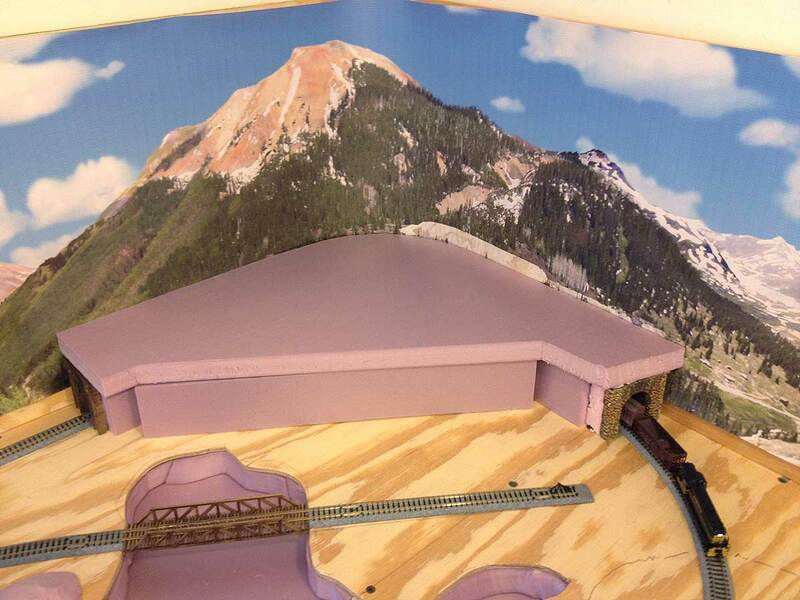 I started the mountain by building a simple foam box, taking care to allow plenty of clearance for the trains. The top of the mountain will be removable for access. 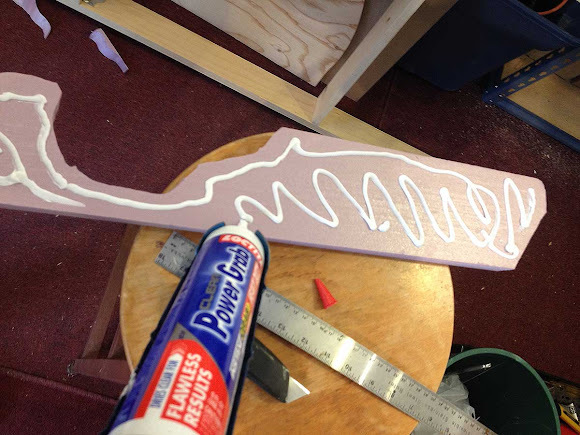 Polystyrene foam is easy to score and snap using a straight edge and utility knife. That works great for straight cuts but a hot-wire cutter is needed for curves. Power Grab construction adhesive was used to cement everything together. About halfway through construction and the waterfall and mine areas are starting to be defined. A view with the mountaintop removed for access. It's a snug press fit that simply lifts off. The mine structure is an old model that is holding the place for the yet to be built Rebel Girl Mine. A few more layers of foam and the roughing in of Red Mountain is complete. The mountain also serves as background for this scene looking up Wolf Creek Canyon. That's about all I had time to accomplish this week. 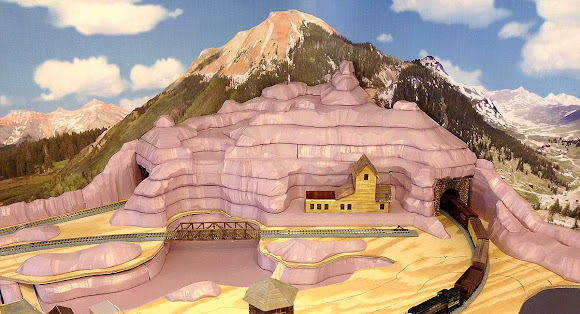 The next step will be finishing the mountain and other scenery forms with Sculptamold and maybe a few plaster castings. Then it's on to adding some color to those pink mountains majesty. Thank's for checking in. Below is a video tour of the layout so far. Adios for now! 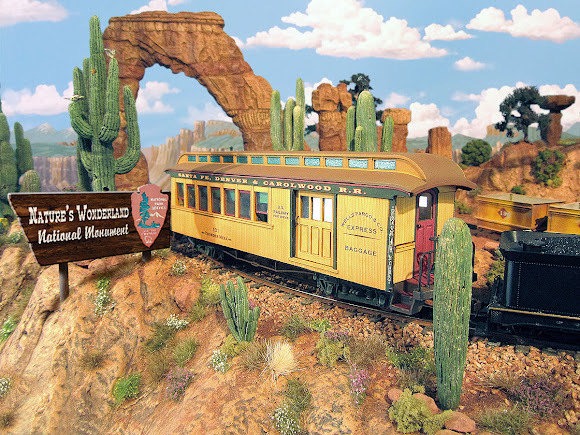 Engine Roster for the Thunder Mesa Mining Co.